Vintage clothing, vintage decor it simply never gets old and continues to be one of the hottest style trends! Now, you too can create a beautiful vintage home environment that is sure to be the envy all your peers. In The Whimsical Home, master crafters Sania and Susanna show us five different homes furnished with different vintage pieces. Each chapter ends with tips to achieve these fun and whimsical looks. And the best part? None of these exquisite looks will cost you an arm and a leg. Chances are you probably already have a lot of key pieces just lying around your home. Sania and Susanna will show you exactly how to use them. Follow Sania and Susanna as they travel from home to home, casting in concrete, crocheting, sewing, building, painting, and revamping. 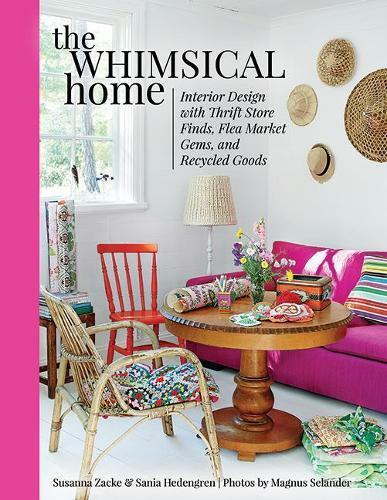 Learn how to mix and match unique flea-market finds with modern furniture, and how to reuse old trinkets you may have lying around your house. Be inspired by Sania and Susanna's expertise and advice. Let your imagination run wild; the sky is the limit. Your house will be beautiful, unique, and the envy of homeowners everywhere.